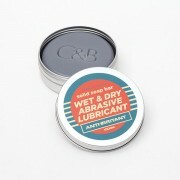 Ideal for wheel and hub bearings up to 100mm ID. 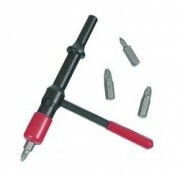 ABS plastic cones with threaded hollow steel central rod. 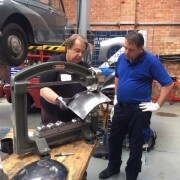 Evenly injects fresh grease into open roller and tapered bearings. Quick and clean operation. Yes you can pack them by hand which is messy and you can't be sure you pack them evenly, or .. 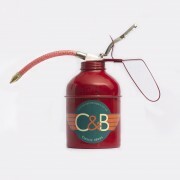 Traditional style metal oil can but with nylon pump for durability and adjustable spout. Comes empty so you can add oil of your choice. .. 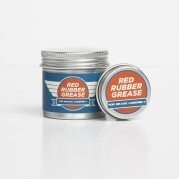 This traditional red rubber grease is designed for use internally on automotive brake assemblies, rubber and hydraulic components so when you are rebuilding master and slave cylinders or brake calipers you can use this to aid assembly, conserve seal performance and protect cylind.. Launched at the Manchester Classic Car Show and sold out the first day! We've now got another batch made! 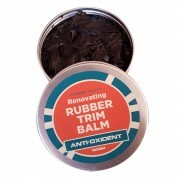 Rubber trim suffers a number of issues, it can harden and eventually crack. 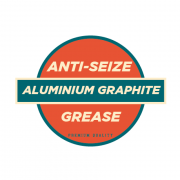 On some vehicles the surface develops a patchy appearance which seems impossible to remove (later Rover product..
Aluminium & Graphite Anti-Seize compound is specially formulated to protect against seizure even under extreme conditions of pressure and temperature. 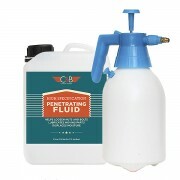 Goes beyond the capabilities of copper grease in brake system applications, particularly if you use your system hard, for instance on track d..
2.5Litres of our superb penetrating fluid combined with our brass nozzled spray applicator. When you've used it all up just buy a refil of the fluid. Good stuff that doubles as a moisture repellant for your electrical system etc. Not your domestic diluted penetrant, this is Industrial level p..
We looked for the best penetrating fluid and found it not from the big 'market leader' where its all about saving pennies per can, but from a little company that quietly makes this product for the industrial sector. It is the best we've found and also makes a great moisture dispersant fo..